As worldwide over-dependence on oil and the costly Iraq war has hastened the way for new energy regimes, the U.S. financial bailout will be hastening the use of economic models other than Darwinian capitalism as it has been known where the most able seize maximum resources for themselves. Nascent social movements for opting out of the traditional economic system will become stronger. Science fiction is rife with dystopian models of robotic controlled governments (Daniel Suarez’ Daemon is a recent example) but in many ways machine-like entities absent the agency problem could be a dramatic improvement over fallible people-administered governments. Technology is more often humanifying than dehumanifying. As usual, the focus is on technological advances to remedy the current global energy, resource consumption and economic challenges. Given both history and the present status of initiatives, technology is likely to deliver. New eras may be ushered in even more quickly when demand is higher and complacency lower. A surveillance and sousveillance society is clearly emerging, simultaneously from top-down government and corporate programs and bottom-up individual broadcast of GPS location and other lifestreaming. The trend to freeing human time for productive and rewarding initiatives is continuing. What will be the first chicken in every pot, the robotic cleaner or self-cleaning nanosurfaces? How soon can all jobs be outsourced to AI? How soon will there be options on the nucleotide chassis? The realization of synthetic biology, one of the cornerstone fields in this century’s life science revolutions, is a step closer this year with three important advances. First, synthetic biology movement leader Drew Endy has arrived at Stanford from MIT. Knowing that people and tools are critical to the area’s development, he is assembling a world class curriculum and department to tackle the challenges of synthetic biology, estimating that Stanford is four years behind. 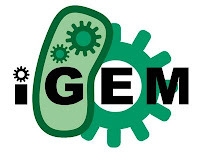 Second, more than 85 worldwide university teams have entered this year’s iGEM (international genetically engineered machines) competition. 900 students are estimated to be at MIT for the November 8-9 presentation of their work and the contest’s culmination. Previous year’s novel synthetic designs have included wintergreen and banana-scented E. coli bacteria, creating virtual-machine like computational platforms in cells and microbial cameras or light programmable biofilms. Third, record attendance is expected at the fourth annual Synthetic Biology conference will be taking place October 10-12 at the Hong Kong University of Science and Technology. Synthetic biology is starting to have more process and rigor, particularly as articulated by Martyn Amos in Genesis Machines. Several areas have been simultaneously improving and coming together: biological system and process enumeration, 3D software modeling and simulation, and biological machine building. As CAD and EDA allowed semiconductor designers to achieve new levels of productivity and automate complex circuit design and test, so too are software tools aiding biology. The second annual Bay Area TransitCamp was an interesting venue for public transportation employees, community representatives, software developers and interested citizens to discuss all manner of subjects relating to public transportation, in particular technical, planning, communications and policy aspects. The informal venue allowed high-quality information sharing, education and brainstorming from multiple viewpoints. Public transport companies are trying to understand how to improve their service, and communications and interactions with riders and the public in general. Political and other community representatives are trying to understand how to improve transit solutions and decrease local traffic congestion. The upcoming $10 billion California ballot initiative for high-speed rail construction is pointing up what appears to be a lack of coordinated long-term strategic planning and integration of the nine Bay Area transit authorities. Software developers are working on applications, services and standards. Third party developers like iCaltrain are providing more user-friendly platform-portable schedule information. NextBus is moving to the next layer by providing real-time GPS-enabled vehicle location information and service alerts, nationwide, as transit providers make data available. BART is twittering service alerts and other information. MyBart is overlaying public transit data with event information, discounts and sponsor offerings. The main Internet-enabled service is the formalization and expansion of ride share and carpool systems. There are already a few dozen of these services such as zimride, Avego, RideNow, eRideShare and GoLoco; for dynamic or planned, local or long-distance rides and already the usual a need for a meta ride share site. TripML and DynamicRidesharing are two standards efforts under development and promulgation. The Tufts Center for the Study of Drug Development¹ estimated that it was costing $1.3 billion in 2006 to bring each new drug to market. Why is it so expensive and why does the cost keep growing precipitously? There have been some technology advances, but they are expensive and have helped to raise the number of discoveries but not the number of approved drugs. Little cost-scaling is available at present for the clinical trial and production process bottlenecks of current drug development. Quadrupling from $318m (1987) to $13 billion (2006). The biggest cost in bringing a new drug to market is human clinical trials, and these costs continue to grow. Without standardized electronic health records and other obvious initiatives, it is time-consuming and costly to source and enroll appropriate clinical trial participants. The cocktail problem is also in effect as people have had more varying health issues and remedies over time. The amount of detail to be collected and assessed increases and homogeneous and isolated factor patient comparisons are more difficult. The low-hanging fruit drugs have already been discovered. The diseases currently studied have less readily identifiable and more complex target molecules in the body. The target molecules have more intricate biological interactions and less easily matchable compounds for therapies. Each successful drug includes the cost of failed drugs as only one in five marketed drugs is able to pay for its R&D costs. One of the main kinds of drugs produced starting in 1998 is biological drugs. These are drugs that mimic the effects of substances naturally made by the body. The fixed time, process and other costs required to produce these genetically engineered substances means that economies of scale do not ensue for larger volumes. This is compared to traditional drugs which became cheaper over time in production, helping to offset the cost of new discoveries. 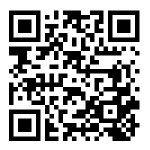 How can the paradox of technology advances yet constant numbers of approved drugs be explained? Technology advances have been proliferating in areas such as mass spectrometry, protein crystallography, chromatography, flow cytometry, microfluidics, genetic scanning and synthesis and atomic force microscopy, all of which are helpful but expensive. The ongoing cost to maintain a state of the art lab has skyrocketed. Newtech has meant that the rate of discovered substances and medicines in development is increasing (2,700 compounds are in development in 2007 vs. 2,000 in 2003)², but the complete process of creating viable therapies and moving them through clinical trials to approval is the bottleneck.